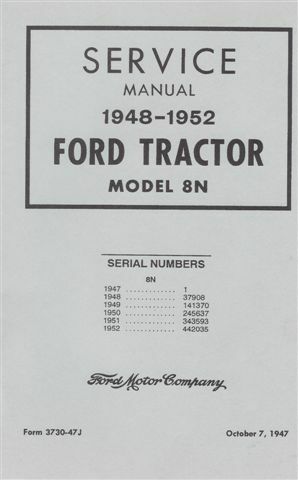 1939 and up Ford tractor Implement Manual. 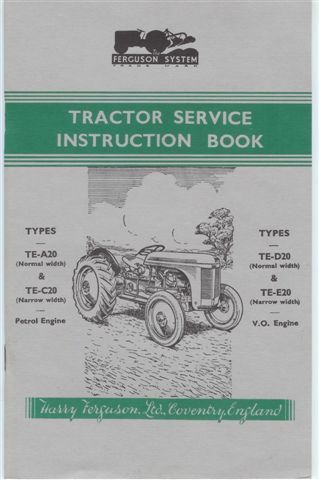 1939-1952 Plow Book Instruction 9N, 2N, 8N. 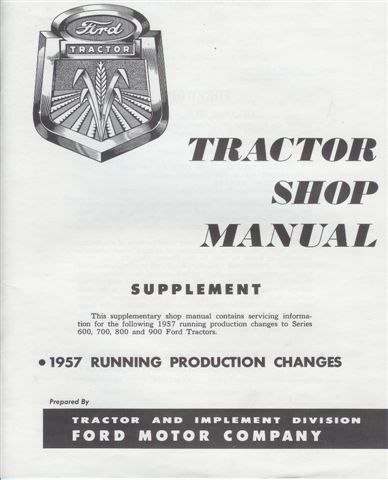 1939-47 9N, 2N Shop Manual. 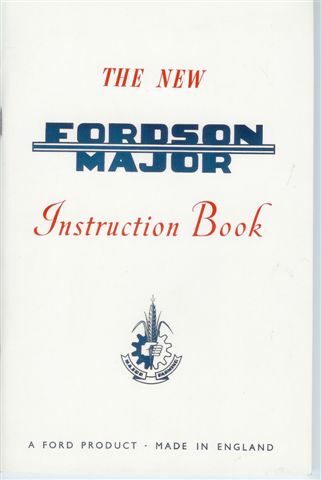 1953-61 Fordson Major Instruction Book. 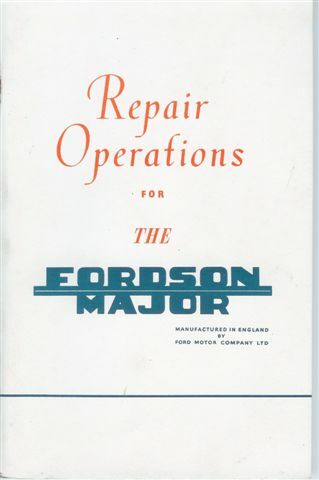 1953-61 Fordson Major Repair Operations. 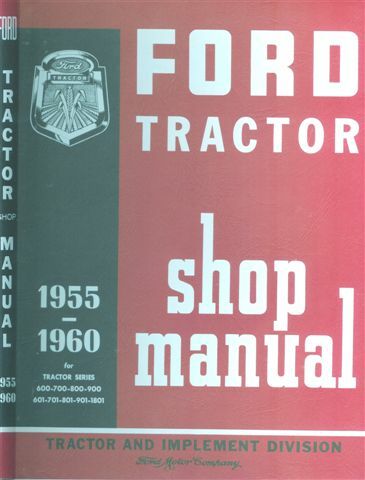 1955-60 Shop Manual covering 600, 601, 700, 701, 800, 801, 900, 901,1801. 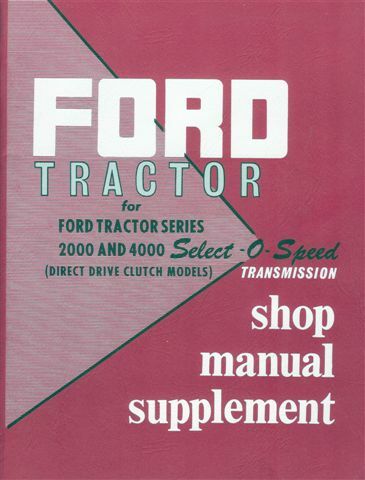 1955-60 Shop Manual Supplement on Speedomatic Transmission. 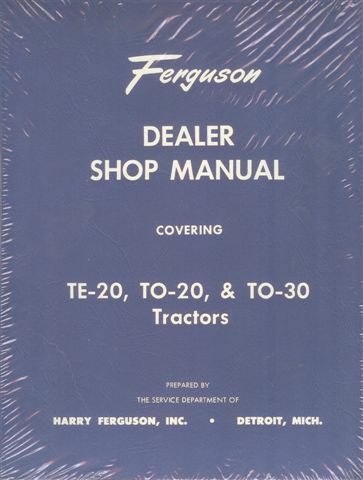 1957 Ford Tractor Shop Manual Supplement. 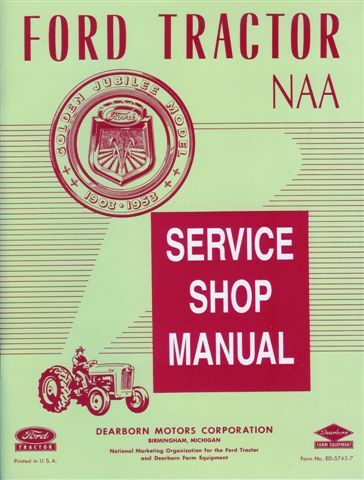 1965-75 Shop Manual covering 2000-7000. 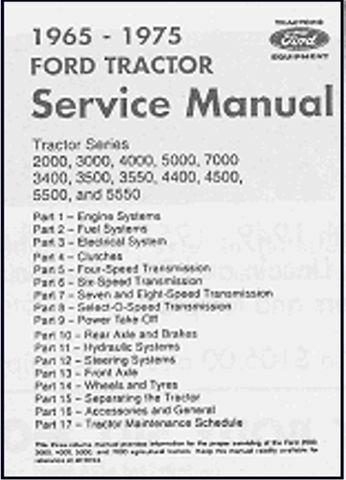 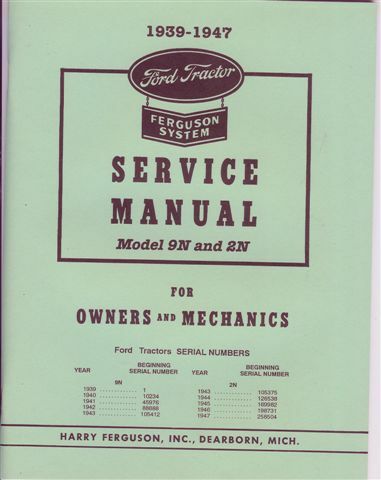 Ford tractor, 1939-1962, maintenance and service specifications manual.